Veneers are fast and easy and can make a remarkable difference in your smile. 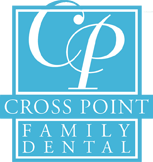 If you’re unhappy with the shape, color or spacing of your teeth, Crosspoint Family Dental can fit you into the perfect veneers in our Lowell, MA office. Veneers are very thin (as thin as a contact lens), translucent facings that are applied to your teeth. Veneers look completely natural and feel just like your natural teeth. They are usually done to the part of your teeth that are visible when talking or smiling. Some people may have heard of direct veneers. This method is usually referred to as bonding and involves placing composite resin on the outside of the tooth using bonding. The indirect technique usually takes two appointments because your veneers are fabricated at a dental laboratory off site. During the tooth preparation visit, your teeth are lightly buffed to allow for the added thickness of the veneer and about half a millimeter of your tooth is removed, which may require a local anesthetic. During the same visit, a mold is taken of your teeth and sent to the lab for fabrication. This may take from one to two hours. At your final visit, also taking about one to two hours, your veneers are placed on your tooth surface. Water or glycerine is used to check the fit and sense of size and color. While they are resting on your teeth, we can adjust for various shades of cement to match the color of surrounding teeth. Once the perfect size, shape and color have been achieved, special cement is used to place the veneer on your tooth. A visible laser is used, causing the hardening catalyst to be released. You may notice the change of size and shape in your “new” teeth. It is important to brush and floss daily. For certain patients, no preparation of the teeth may be necessary. To learn more about your dental options, including veneers, visit our Lowell, MA office located at 850 Chelmsford Street.